Paying respect to the “unsung heroes” of sports and their “mission critical” role with our athletes’ wellbeing. Why? Because they C.A.R.E. Athletic trainers are the most important person in the concussion management process, according to Dr. Harry Kerasidis, founder of XLNTbrain.com. NATIONAL HARBOR, MD, UNITED STATES, March 15, 2017 /EINPresswire.com/ — Fighting the war against sport concussions are unsung heroes making life and death decisions every day in the trenches. I’m glad March gives us a chance to recognize the National Athletic Trainers Month, because athletic trainers often get taken for granted, but they are always appreciated. Athletic trainers carry the torch for the medical world, parents, coaches and athletes, into concussion battle every time teams engage in sports. Their role in concussion management is mission critical to preserving the health — and future — of our athletes. Sports breeds a “toughness” culture that easily overlooks so-called “dings.” Literally, everyone plays a role. We all can improve our “spotting” and recognize concussion symptoms including players, coaches, referees, fans, school administrators, and even politicians. But nobody plays a more important role than athletic trainers. They face the culture daily, and sit the players down when they have to, despite the conflicting motivations of the player, coach and teammate. Athletic trainers apply the latest in sports management that they possibly can afford. Through their unbiased lens, they provide the first-line of defense with concussion detection and overseeing the consequential recovery protocols. Most people don’t realize how much work is involved with this process which begins during the pre-season with neuro-cognitive baseline and balance testing. The data collected provide baseline measurements which help medical personnel with authorizing the return-to-play clearance. Concussions continue to be one of the hottest topics in neuroscience. Athletic trainers are the gateway to accessing data that will define the future of concussion management. The challenge athletic trainers have is managing data. Athletic trainers have the herculean task of managing all the aspects for all the athletes’ health. Most schools have one or two certified athletic trainers serving more than 100 or more athletes. 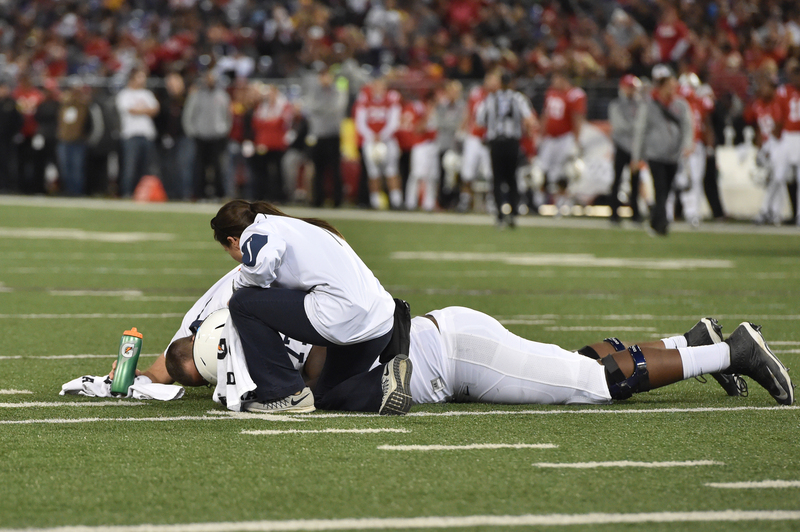 Athletic trainers are tasked with knowing and applying the latest in concussion management including concussion education, baseline measurement, sideline assessment, reporting and overseeing recovery care. With all these pieces, athletic trainers must be continually be educated in the nuances of concussion care. Additionally, athletic trainers are required to have bachelor’s degrees with studies in nutrition, exercise physiology, kinesiology, and biomechanics. Most programs want athletic trainers with master’s degrees, accreditation, or certification in various athletic training education. 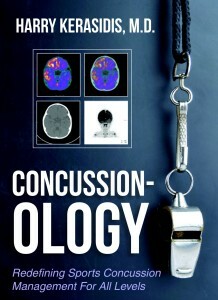 Available on Amazon — Concussion-ology: Redefining Sports Concussion Management For All Levels, by Harry Kerasidis, M.D. The regarded National Athletic Training Association (NATA) defines athletic trainers as healthcare professionals who recognize, prevent, and rehabilitate injuries that result from playing sports or other physical activities. They may be part of a complete health care team and work under a physician’s supervision. Athletic trainers provide medical and allied health care services to individual athletes or entire sports teams. Elementary or high schools, colleges, and professional sports organizations, as well as medical centers may employ them. When an athletic trainer, who may be responsible for the health of hundreds of athletes at a time, has multiple concussions to manage, varying levels of severity, and recovery timelines, just managing concussion injuries alone can be a major juggling act. The truth is athletic trainers deserve a hug of appreciation. Thank you for helping preserve the athletes and the games we love. 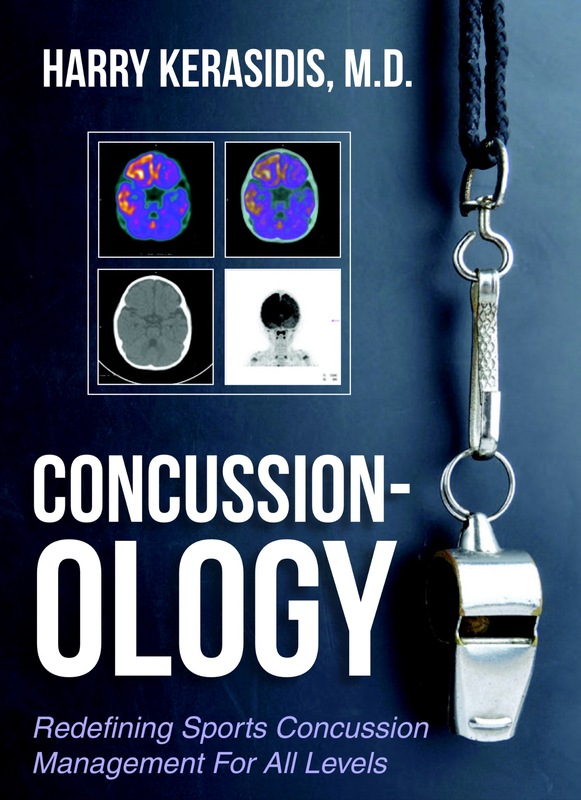 Learn how XLNTbrain can help athletic trainers add efficiency to their concussion management, and receive a FREE copy of Concussion-ology, by Harry Kerasidis, M.D. © Copyright 2018, XLNTbrain Sport.